We are not quite satisfied that the subjoined paragraph, taken from a weekly London paper, contains a correct account of Dr. Elliotson’s Phrenological Lecture on the cranium of De la Bourdonnais, but we have nevertheless thought right to submit it to our readers as a fair average specimen of phrenological reasoning. We have printed in Italics those passages which appear to us the most striking illustrations of the malleability of facts properly wrought on the anvil of the philosopher, and we congratulate the Society on their discovery of the utility of destructiveness in playing chess, and the inutility of constructiveness in building. Why so scornful? In a word: phrenology. Practitioners of this pseudoscience believed that there was a correlation between an individual’s personality and the size of various regions of their brain – and that these peculiarities were reflected in the shape of the skull. Phrenology was at the height of its popularity by the 1840s, although the majority of the medical profession had by now concluded that it was nonsense. 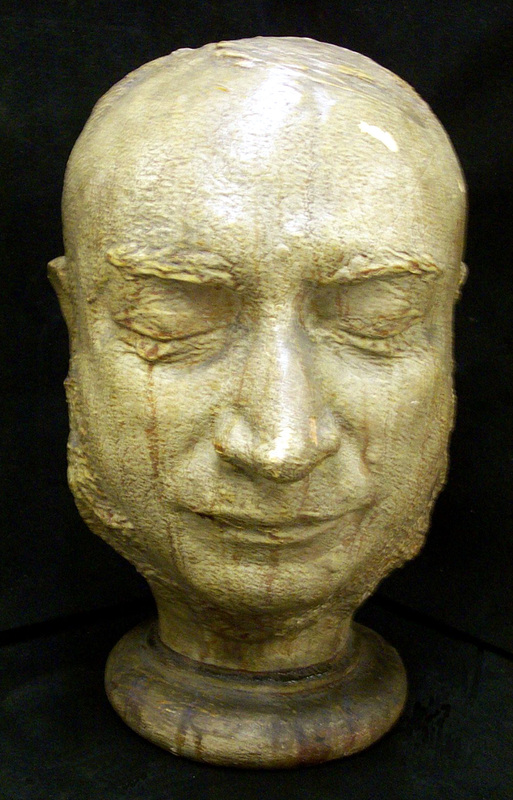 Two interesting discussions have been held at the London Phrenological Society, Exeter Hall, on the cast of the head of M. De la Bourdonnais, lately taken by death from among us, which cast was produced after decease by Deville, of the Strand, the likeness being wonderfully preserved. 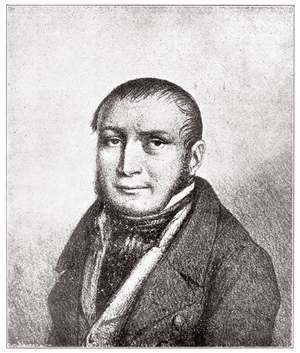 Louis-Charles Mahé de La Bourdonnais was one of the strongest chess players of the early nineteenth century; had there been a World Championship at the time he would almost certainly have won it. Dr. Elliotson gave a phrenological description of the head, which, to those who knew the habits of the chess player under discussion, came remarkably home to the truth. 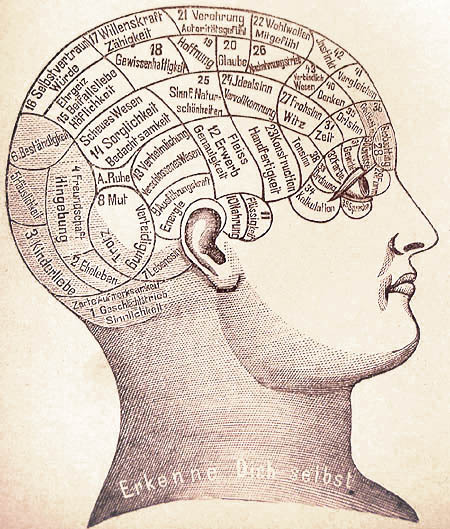 As a phrenological specimen the cast presents qualities of the finest description; it is a head of greater power than the society sees once in seven years; the organs of constructiveness, stratagem, causality, and others bearing directly upon chess, are amazingly developed. Dr. Elliotson justly remarked, that such were the capabilities of the brain, deceased would have been first-rate in whatever scientific pursuit fate had embarked him. His animal organs were, at the same time, prodigious, which gave that impetus to the mind which enabled him at chess to beat and tear down all opposition. As the general of an army De la Bourdonnais would have gone far; and enormous destructiveness may, perhaps, have been one of the leading motives which caused him to spend his life in chess; hardly any other pursuit, save actual war or brutal quarrelling, giving scope for its full exercise. I don’t remember any brutal quarrelling at the chess tournaments I entered as a schoolboy, but it’s possible that Basingstoke Chess Club was constantly on the brink of a mass brawl, I suppose. Dr. Elliotson’s interesting lecture was followed by some remarks from Mr. George Walker as to the life and habits of De la Bourdonnais, fully corroborating the phrenological views of the scientific men who had previously gone into the subject. On Monday last, the cast of Sam. Scott, the diver’s head, succeeded that of De la Bourdonnais, and here the organ of firmness appears to have been even preternaturally developed. It is only by discussion that truth can be elicited, and phrenology demands no more than fair play at all hands. We believe the cast of De la Bourdonnais’s head is on sale yet at Deville’s, Strand, and doubtless chess clubs will be glad to procure a relic so valuable. In fact this artefact still exists, and is part of a fascinating collection of death masks owned by Princeton University Library. You can see it here. Constructiveness, a quality so essential to chess, in which schemes are to be concocted and their several merits critically and exactly compared, is seen of immense size in the head of De la Bourdonnais, and it was not unfairly remarked at the Phrenological Society, that it bore somewhat upon the case that De la Bourdonnais lost his property in early life by a building speculation at St.Maloes. Destructive and constructive, eh? Well, that makes everything clear.